When we released our AMD EPYC 3201 benchmarks and review, many users inquired as to our thoughts on the test platform. 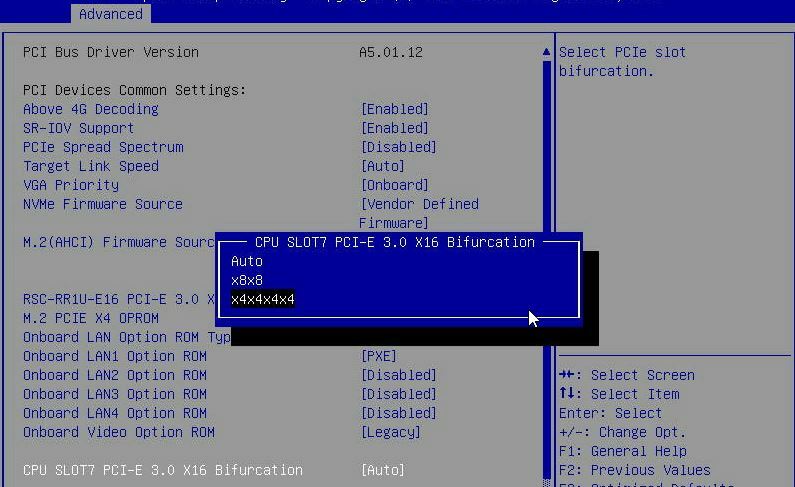 We have had some time with the Supermicro M11SDV-8CT-LN4F and found something unique. 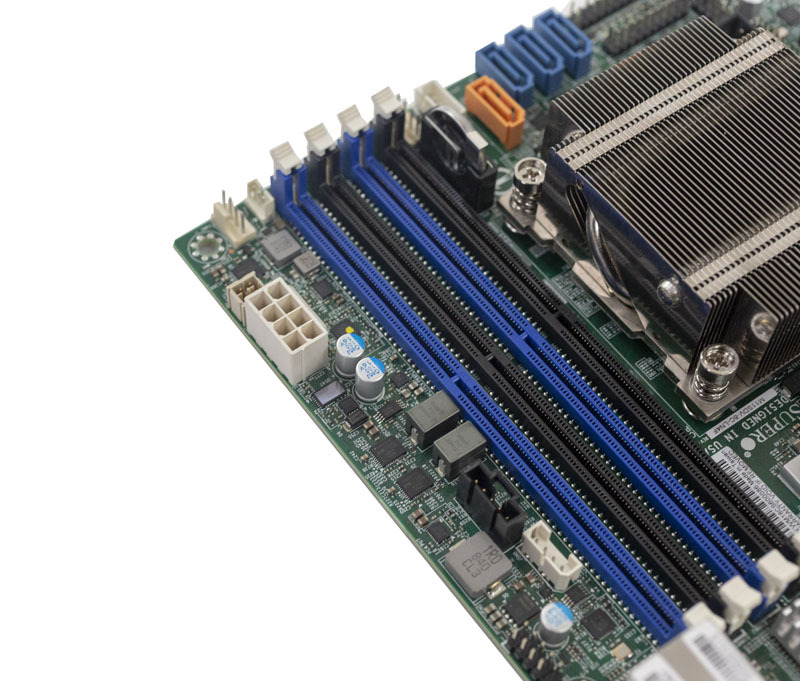 While the Supermicro M11SDV-8C-LN4F is designed for all-out performance, the “8CT” takes a more balanced approach. It has a modest price premium over the four core parts, sips power, and has a surprising amount of performance. As we have mentioned previously if you are a vendor looking to dual source your CPU suppliers for x86 operation, the AMD EPYC 3201 is a drop-in replacement using modern OSes. With security vulnerabilities like Foreshadow that only impacted Intel CPUs, having a second option qualified can help mitigate future vulnerabilities. It also can help to keep pricing competitive. We are going to have reviews down the stack over the course of the next few weeks. Practically, the Supermicro M11SDV-8C-LN4F, M11SDV-8C+-LN4F, M11SDV-8CT-LN4F, M11SDV-4C-LN4F, and M11SDV-4CT-LN4F are all very similar. We have a short video overview of the family. Measuring 6.7″ x 6.7″ the Supermicro M11SDV-8CT-LN4F is a compact mITX motherboard. At the heart of the M11SDV-8CT-LN4F is the AMD EPYC 3201 CPU. 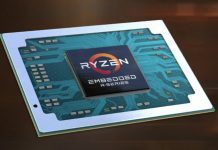 This is the lowest power option in the current AMD EPYC 3000 line with a 30W TDP. Even the quad-core CPUs in the EPYC 3000 line have higher TDP values. The CPU itself if cooled via passive airflow from front to rear. 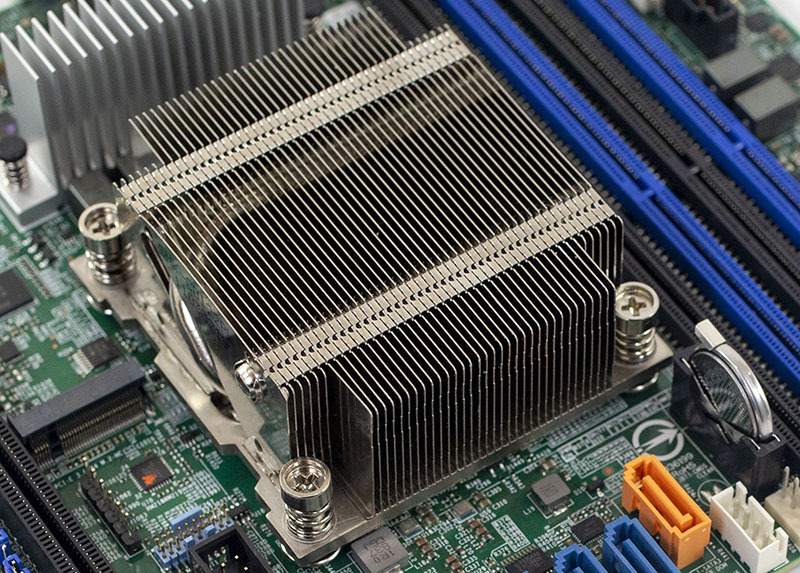 The passive heatsink requires cooling from fans via the chassis. One of the trade-offs the platform makes to maintain lower power ratings is that it uses lower speed memory. It can still handle four 128GB DDR4 DIMMs for a total of 512GB. At the same time, the maximum rated memory speed is 2133MHz, not 2666MHz like the rest of the lineup. Lower memory speeds help to lower the platform TDP. 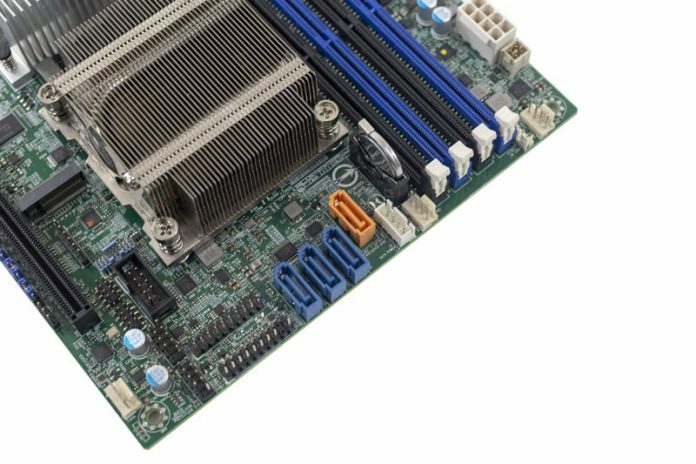 The Supermicro M11DV-8CT-LN4F has a standard front panel header, COM port, and USB 2.0 headers. You will not find a Type-A USB internal header nor a USB 3.0 front panel header. From the look of the motherboard, there does not seem to be room for those features. The rear I/O is comprised of a legacy VGA port on the right side and two USB 3.0 ports plus a management port on the left. 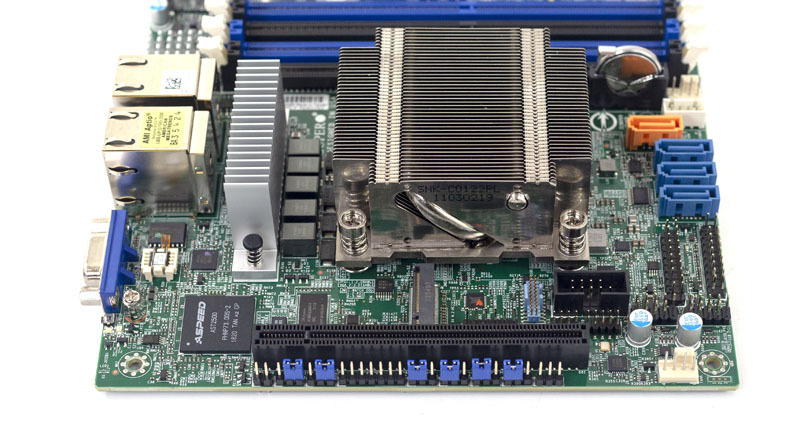 Overall I/O pinout is compatible with a wide range of Supermicro embedded products so those that have systems based on Intel embedded products can likely use the same I/O shields and chassis with the Supermicro M11SDV-8CT-LN4F. You can also use this exact same I/O with all four of the launch M11SDV platforms to have four CPU levels in a similar appliance. Networking is provided by an Intel i350 quad port NIC. This is a 1GbE NIC that supports higher-end features like SR-IOV. At the same time, Supermicro is not leveraging the AMD EPYC 3101’s quad 10GbE NIC. While we wanted to see a 10GBE solution, we understand the conservative design decision for a first-generation embedded product. The Intel i350 is well supported by every major OS vendor and there are many firewalls and embedded appliances that do not need 10GbE. Next, were are going to look at the Supermicro M11SDV-8CT-LN4F management and system topology. We will then show performance figures along with power consumption and our final thoughts. Hi Patrick, LOVE these reviews and glad to see a website focused to the whitebox datacenter/homelab folks. I always wondered why you don’t run PassMark benchmarks? I know they aren’t the most representative of real-world perf, but the Single Thread Rating is, in my opinion the best way to compare IPC. Sadly no 10GbE, seems a bit of a waste – non of the embedded EPYC solutions by Supermicro support this. There is no excuse for not offering the 10G option, it’s mandatory for a server board these days. And for embedded use, it’s simply overkill in most cases. They completely missed the correct positioning, as usual. Nothing new, they completely killed Denverton by giving up the flexible IO and offering unreasonable options. It seems they cannot even design a compact chassis: what the hell is this CSE-E301 pie? What about designing a decent compact 1.5U or a 2U with 60mm/80mm fans and a PCI card slot at the top like on any server on earth? And maybe add an AC/DC board on the side? I’m not asking for something as fancy as a Mac Mini, but I mean… is it too difficult for you guys? What’s wrong with you? What’s wrong? I wish the were alternative brands. 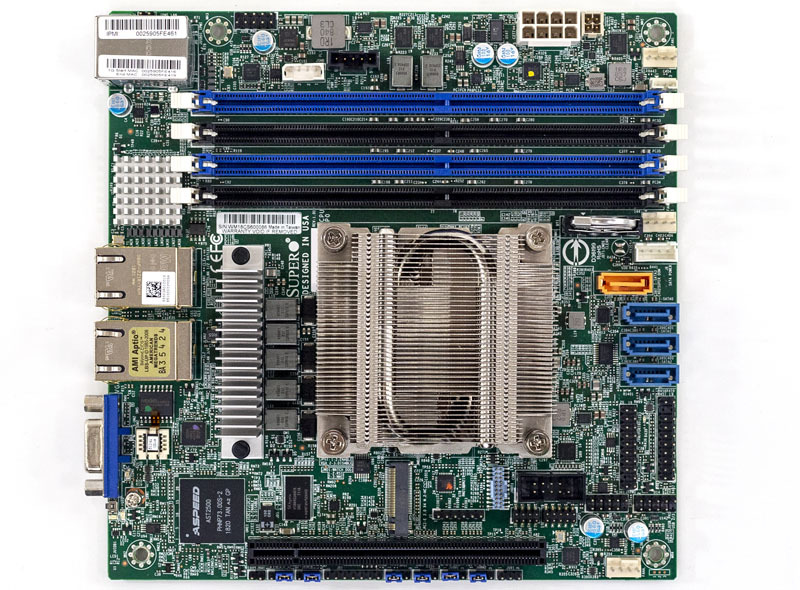 Any opinions on getting this board vs waiting for Supermicro Xeon D-1600 options? 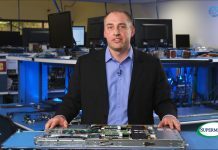 Is the D-1612 likely to be performance competitive with this board, but with 10GbE?